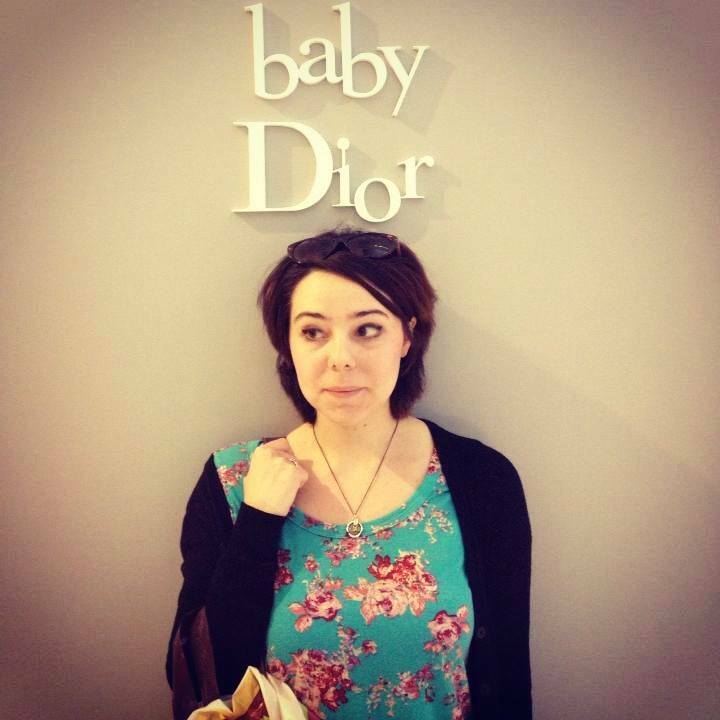 After our night out in Dubai my cousin took me to see some of the important landmarks Dubai has on offer. 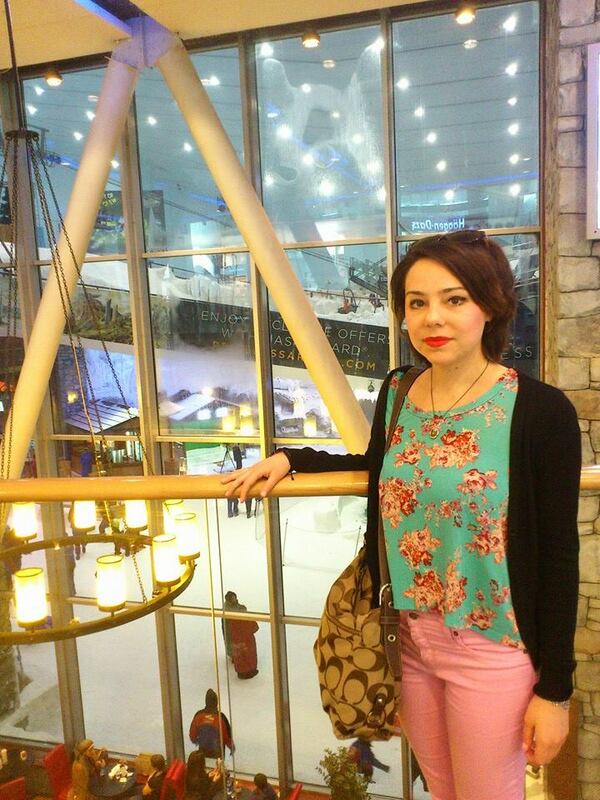 We went first to Mall of the Emirates where we had a modest breakfast at Paul’s. 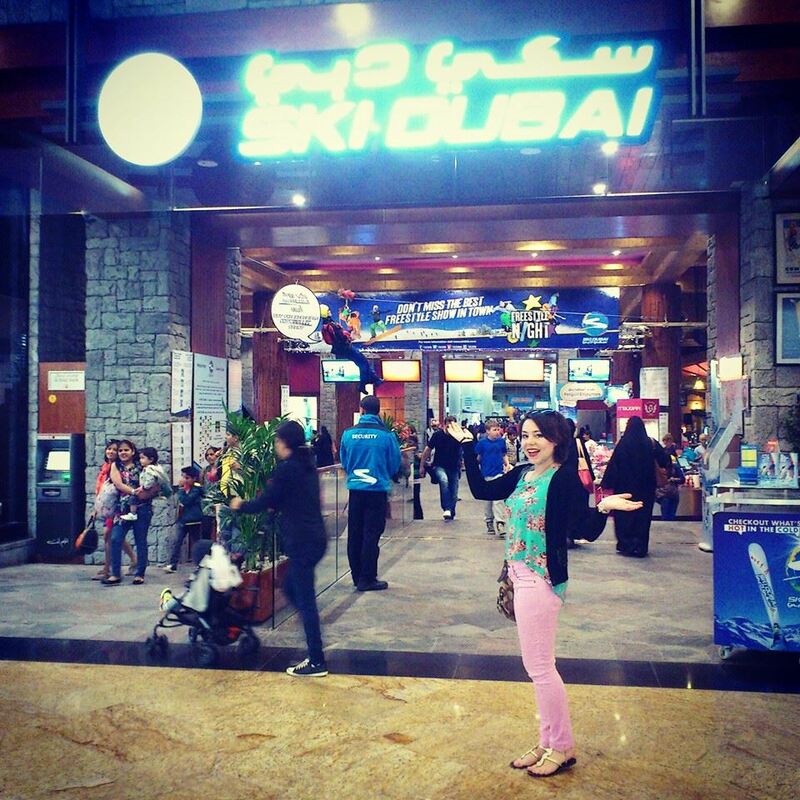 The main reason though was to see Ski Dubai. 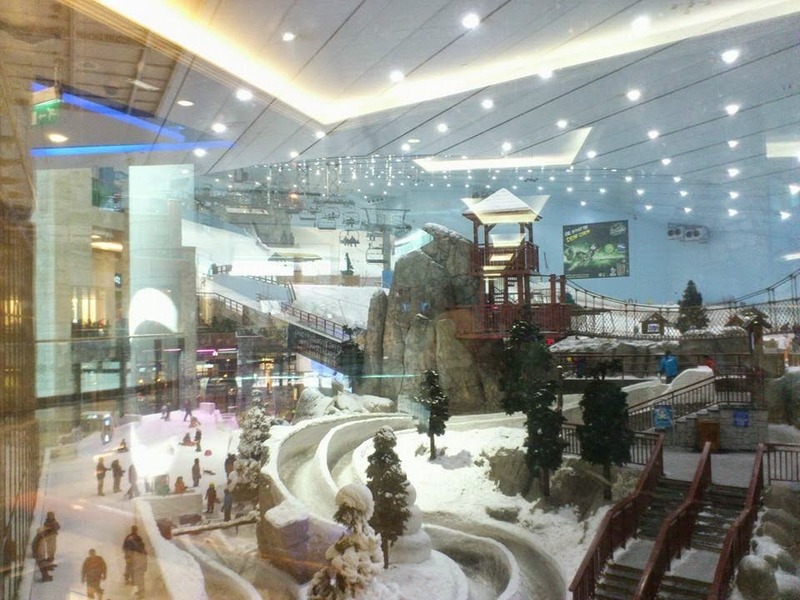 Yes, the mall has an actual ski slope in it. The slope itself is small and uneventful, though it’s equipped with a chairlift and a tubing center for children. No doubt, the main thrill comes from the novelty of skiing indoors, in the desert none the less. It is surreal to look through the glass and see a winter ski scene and then to turn around to face an H&M, or a food court. Following Mall of the Emirates we went to Mall of Dubai. 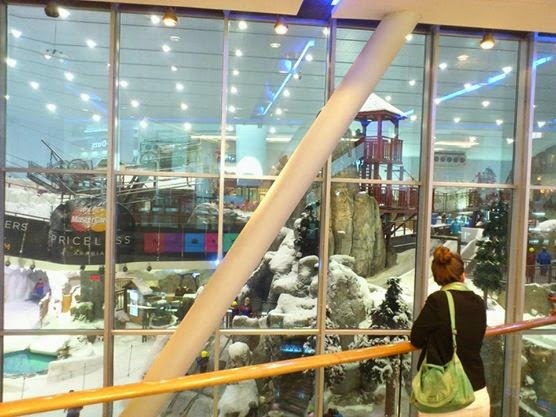 Mall of Dubai doesn’t have a ski slope, though it does have an indoor aquarium. 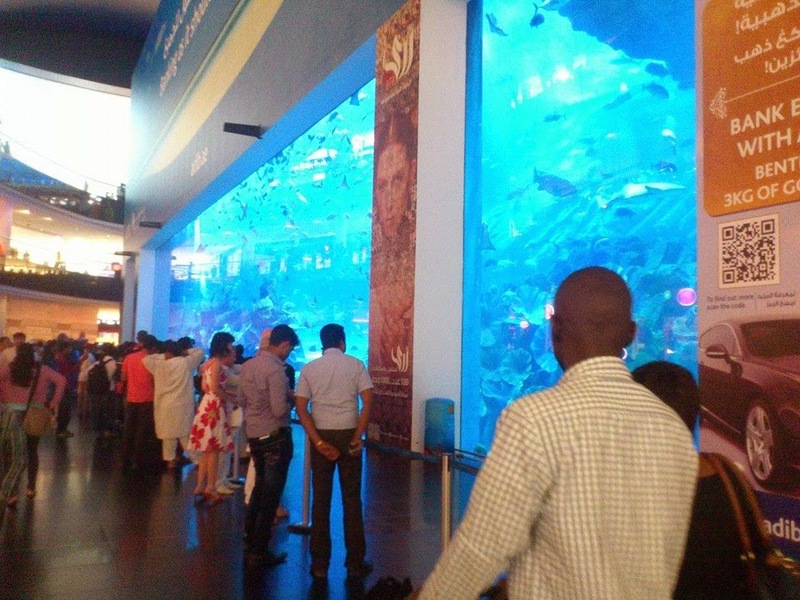 The aquarium is quite large and the majority of it is not visible in the pictures. 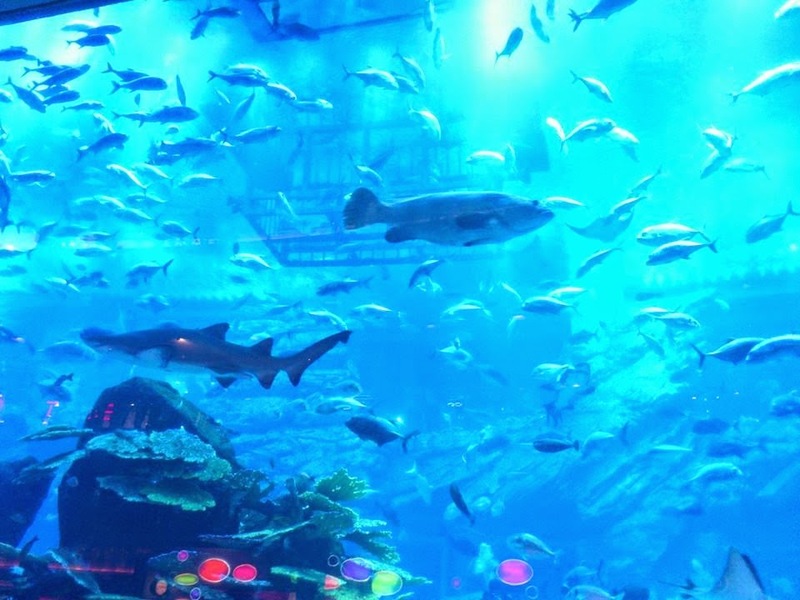 There are different levels of attractions associated with the aquarium including what I did, which is to gaze at the aquarium, free of charge. There is also the option of walking through the aquariums built in tunnel, finally, people can actually go scuba diving in the indoor aquarium. To be honest I was quite amazed by the indoor ski hill, but I take issue with animal captivity for the sole purpose of our amusement. 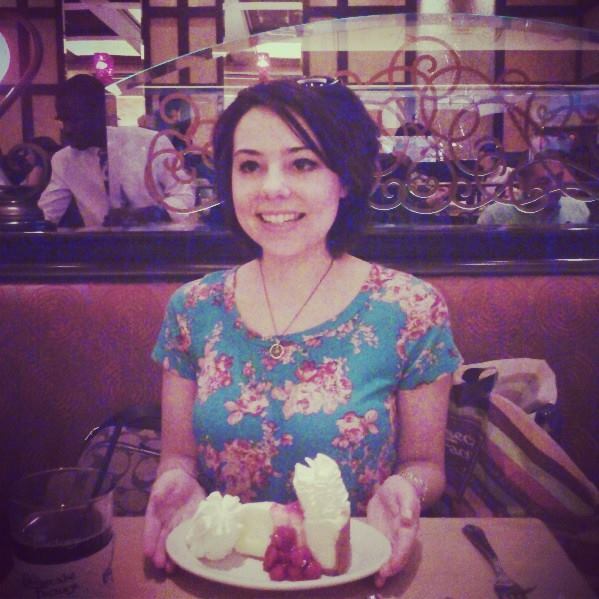 We went for lunch at the Cheesecake Factory, my choice as I had never been and was curious about it after all the advertising it gets on The Big Bang Theory. My cousin and I both ordered California style tacos I believe. They weren’t particularly memorable. They do know how to make a good cheesecake though. I had the cherry and it was lovely. I loved this ceiling near the aquarium. 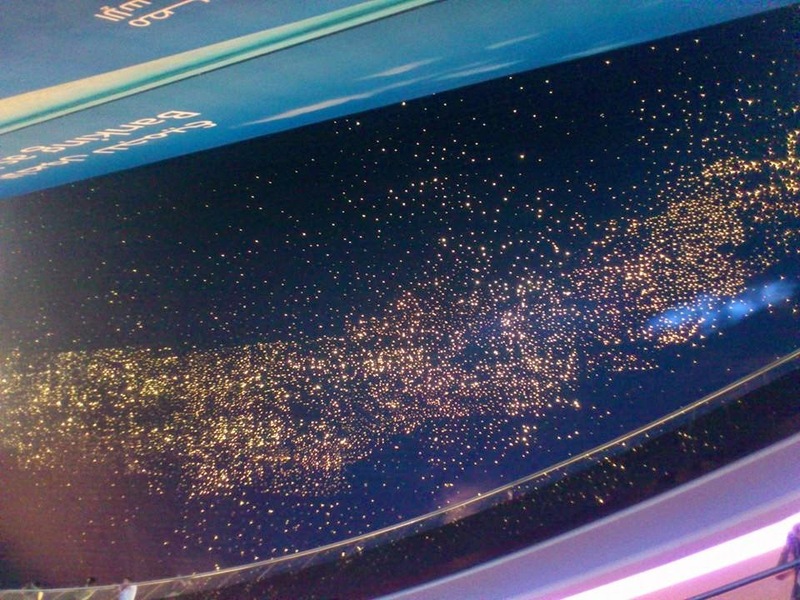 It reminds me of the ceiling in Harry Potter, bewitched to resemble the night’s sky. 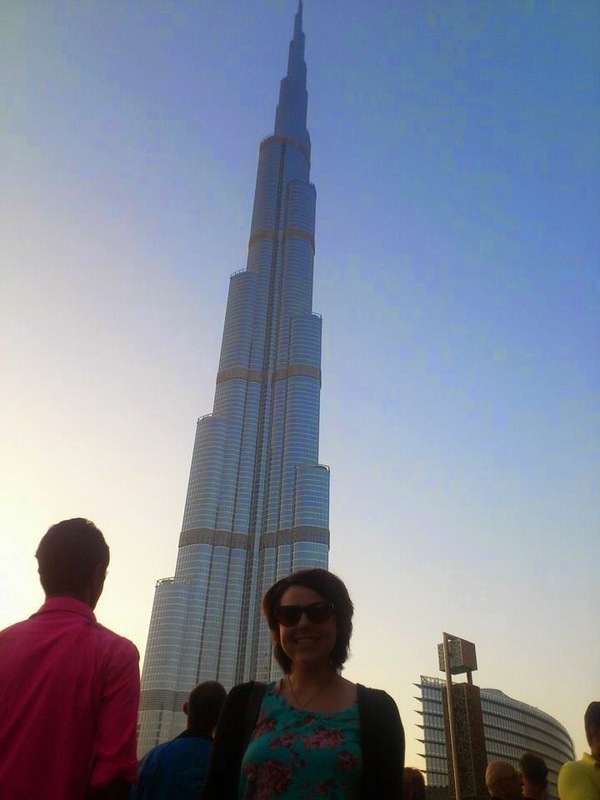 Just outside of the Mall of the Emirates stands the Burj Khalifa, the worlds tallest building. Growing up I was always reminded that Toronto’s CN Tower was the tallest (free standing) building in the world. The Burj Khalifa stands nearly twice the height of the CN Tower, in order to get a picture of it, my cousin had to crouch down on the ground. To see the top of it requires a near horizontal craning of the neck. 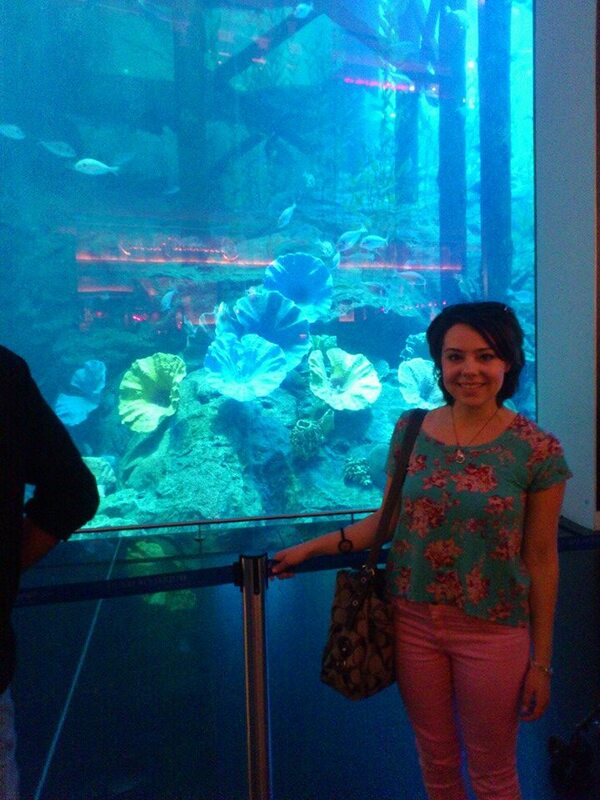 Below the Burj Khalifa is a pond where there is a daily fountain show. It draws a huge crowd and is really neat if you get a chance to see it. They play beautiful Arabic music to which the water dances along. The show is fairly long, beautiful and memorizing. I couldn’t stop thinking of all the engineering involved in the creation. 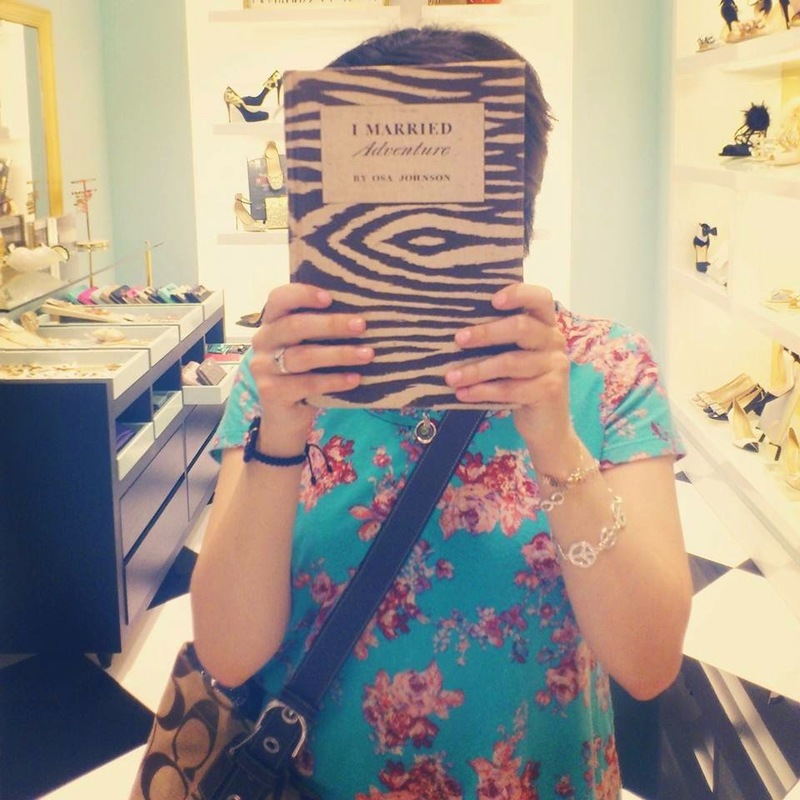 While we were on the wait list for The Cheesecake Factory we went into Kate Spade, where we found this book, “I Married Adventure”. As I’m not much of a traditional girl, I think I’d fancy marrying adventure myself!